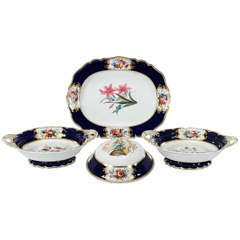 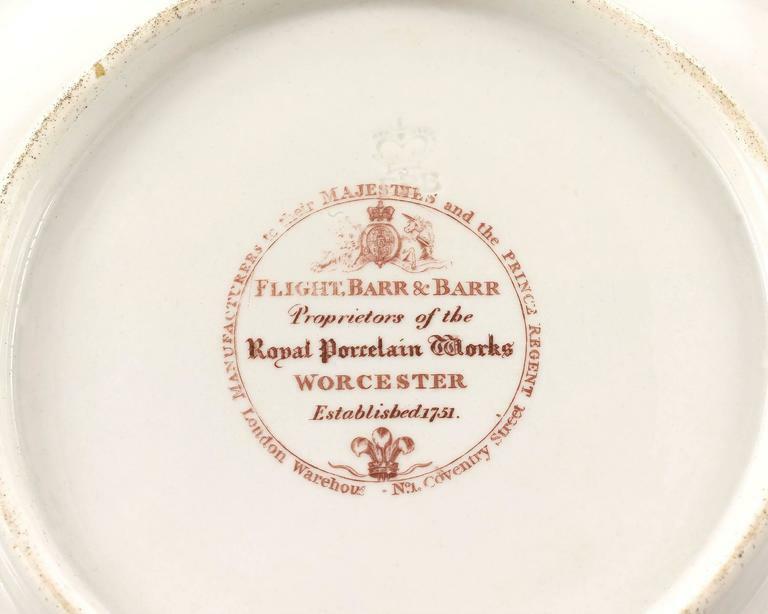 This exceptional porcelain dessert service was crafted by the Flight, Barr and Barr Royal Worcester porcelain manufactory. 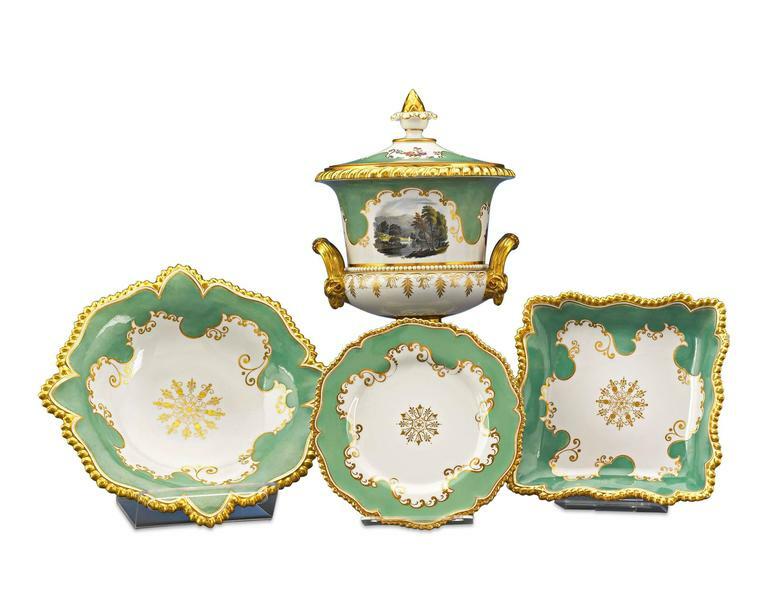 Comprised of forty-one masterfully crafted pieces, the service is distinguished by its richly-gilt gadrooned rims, as well as the intricately hand painting topographical scenes that grace the body of a number of dishes. 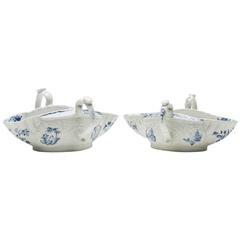 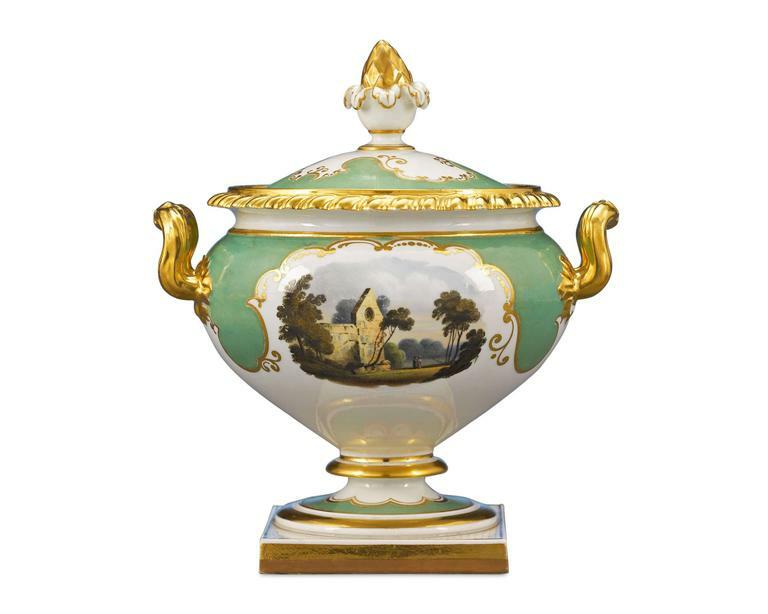 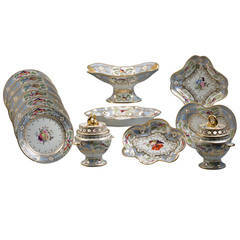 The service also boasts two charmingly formed campana-shaped ice pails lavishly decorated with floral bouquets, landscape scenes, and opulent gilt C-scroll handles. 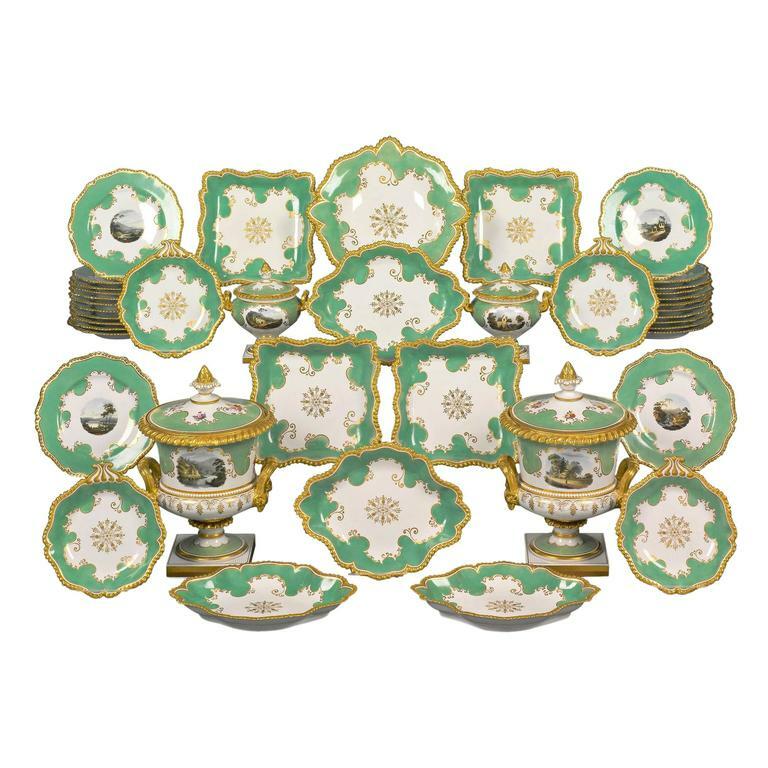 Displaying the mix of Classic tastes and Rococo flair for which Flight, Barr and Barr Worcester porcelain is renowned, this set is as perfect for display as it is for a table setting. 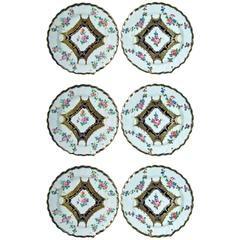 Impressed and printed Worcester marks, circa 1820 The service is comprised of: A pair of ice pails with covers and liners A pair of oviform two-handled sauce-tureens and covers Twenty-three plates An octafoil center dish Four lozenge-shaped dishes Four shaped square dishes Four shell-shaped dishes And one plate Provenance: Estate of the late Viscount Camrose References: The Dictionary of Worcester Porcelain: Volume I, 1993, J. Sandon.